Ahhhh. Very nice. I haven’t been in the room for Present Tense since 2006. Does he play Present Tense in drop D? I can’t remember. Yea it's 100% in drop D.
IMO the best PJ I’ve evee been at (I’ve been at every show in Santiago ever, Wrigley 2016 both nights and Rio 2018). Incredible setlist, crowd, and the intimacy aforded with a smaller crowd on thins arena was amazing. I was in line since 9 AM to be at the front row at the pit and got the chance to interact with other fans too, hear stories, etc. Can’t wait till they come back. First, Im sorry for my English, I need to study more. I am an analog member since 2012. I live in São Paulo/SP - Brazil. 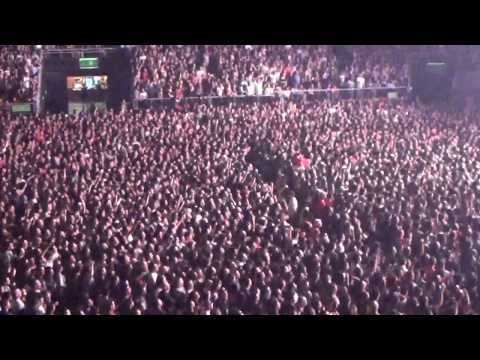 place at Movistar Arena in Santiago, Chile. I traveled from Brazil to Chile only for this concert. in front of the stage. We put tapes on our wrists, with our queue number and location. The night followed and we told the security guards about what was happening. front of the arena as soon as it opened. requesting help with the organization. the next day they told us that the park would only open2pm. numbered and that there were people from all sectors. In this race, as predicted and warned, I stumbled and hurt my back. I tripped on a gap. organization and many grids. And with a hard sun. inside the park to the event, they opened another door about 6 pm. And people who arrived at 6 pm for the event settled in the same place as my friends who managed to run and camped the night before. And were in a better position than me, that had camped the day before. crutches) fighting to havea separate entrance. And the guards said there was nothing they could do. in line and went into the show. outside the park opened at the same time. I suffered a lot with the jerks, hair pulls, etc. been much more upset. Thank you for that. leaved before the end of the concert. to the parking lot of the place. though I warned of all the problems, none of your team did anything. taking a lot of painkillers. I want to go to the shows but I will not camp anymore. Maybe never again in South America. I'd like you to please look more at us. anyway). Shipping for any merch is $ 40.
and, especially, how it treats its fans. But this time I was really very sad and disappointed. Please, take more care with South America fans and tenclub members from here too. it is not our fault to live in third world countries. We are fans just like americans fans. We are people. We are human being too.Sorry for my grammatical errors, etc. no, he didn't say anything like that, but yes,I agree, 10 Club members got early access, at least in Chile, only once at the first show in 2005 and that's it. They should definitely improve our benefits.